After a lackluster start, spectators are betting on more promising times ahead for equity crowdfunding to the masses. Although it’s been talked about for years, it wasn’t until last May that the general public could buy shares of their favorite companies through equity crowdfunding. Before then, only accredited investors could be part of the crowd. The new crowdfunding regulation, known as Reg CF, has been talked about for several years as a potential game-changer for small businesses seeking growth capital. But so far, it hasn’t gotten the fast-track reception that some industry watchers had hoped for. Between inception and January 16 of this year, 75 companies have run successful equity crowdfunding campaigns, raising $19.2 million, according to statistics compiled by Wefunder, an online funding portal for equity crowdfunding. Even so, industry watchers aren’t discouraged, saying it takes time for any new product to catch on and to gain traction. 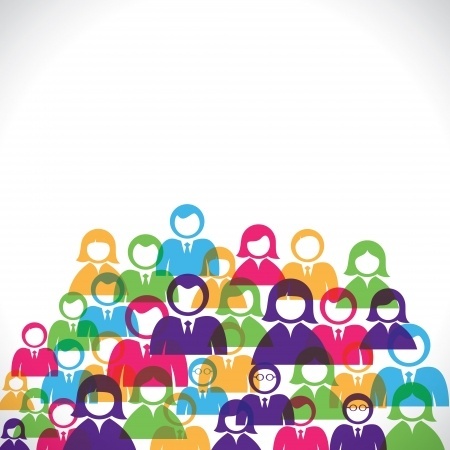 “Equity crowdfunding is in its infancy. It’s got to be a toddler before it can be a teenager, and it’s got to be a teenager before it can be grown up. I think in three to five years, equity crowdfunding will be all grown up,” says Kendall Almerico, a partner with the law firm DiMuroGinsberg in Washington, who represents numerous clients in Jobs Act-related offerings. 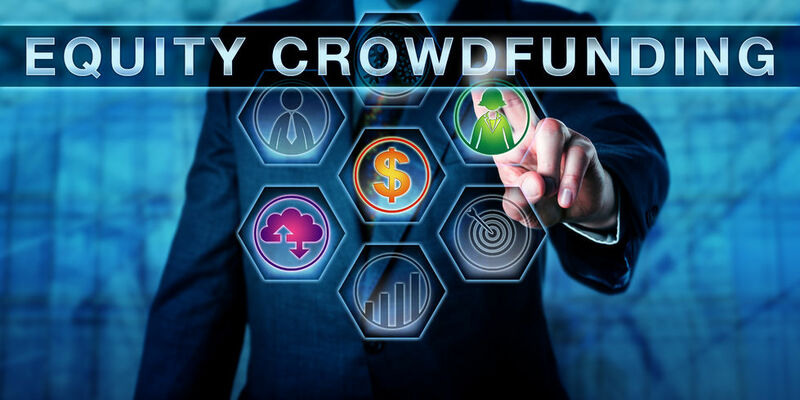 Some industry watchers had hoped equity crowdfunding to the general public would take off immediately, on the heels of successful rewards-based crowdfunding sites like Kickstarter and Indiegogo. Consider that since Kickstarter launched on April 28, 2009, 12 million people have backed a project, $2.8 billion has been pledged, and 118,362 projects have been successfully funded, according to company statistics from Jan. 16. People looked at Kickstarter’s accomplishments and projected that from day one, equity crowdfunding to the public would be an immediate success, Almerico explains. Instead, Almerico says 2016 was a year of trial and error, in which companies seeking equity funding tested out the market and learned the process. Initially, there were several funding failures, where companies set fundraising goals that were too lofty and came away with nothing. Other companies have been hesitant to dip their toes into a market that’s still very new and unchartered. “I’m not surprised that it has taken a little bit of time for companies to raise money this way,” Almerico says. However, industry participants say that every success story encourages others and the market will continue to build on itself. “We are very optimistic that 2017 will be the year it goes more mainstream in the U.S,” says Nick Tommarello, founder and chief executive of Wefunder, who expects crowdfunding levels in 2017 to reach three to four times what they were at the end of 2016. Certainly, Reg CF is still very new in practice. On October 30, 2015, the Securities and Exchange Commission adopted final rules to permit companies to offer and sell securities through equity crowdfunding for non-accredited investors. But it wasn’t until May 16, 2016 that this new type of investing actually became permissible. Companies that want to raise money from the general public have to do it through a funding portal that is registered with the SEC. As of mid-January, there were 21 funding portals, according to a listing on Finra’s website. The bulk of the funding thus far has come through the portals Wefunder, StartEngine and NextSeed, according to statistics compiled by Wefunder. Indiegogo, best known as a leader in perks-based crowdfunding, has also gotten a fair amount of business. Indiegogo launched an equity crowdfunding portal late last year through a joint venture with MicroVentures, an online investment bank. There are significant rules when it comes to members of the general public investing in equity deals; how much you can invest per year depends on your net worth or income. Everyone can invest at least $2,000, and no one may invest more than $100,000 per year, according to SEC rules. Meanwhile, companies are limited to raising $1 million in a 12-month period using Reg CF. Also, they must raise enough to hit their funding target or the fundraising round is a bust. They can, however, use other avenues to raise money simultaneously, such as through accredited investors or venture capitalists. This can be an advantage for companies because it allows them to tap their customer base—a great marketing and customer-retention tool—and yet still seek growth financing from investors with deeper pockets. Over time, as equity crowdfunding gains traction, Almerico predicts the SEC and Congress will revisit some of the regulations and tinker with the laws to make them even more user friendly. And that too, will help crowdfunding gain ground with investors and companies, he says. For instance, under current rules, a company can’t market its offering until it goes live, at which point additional marketing restrictions set in. Congress and the SEC will likely change some of these restrictions to make the rules more similar to Regulation A, which covers offerings of larger sizes, Almerico says. For the most part, companies that are consumer-facing as opposed to B2B will have the most luck with equity crowdfunding. For one thing, consumer-facing companies often have an easier time explaining their story to the public. Also, there’s real benefit for consumer based businesses to get their customers to sink money not only into a company’s product, but behind the scenes as well. Thus far companies that have sought funding under Reg CF run the gamut from breweries to tech startups, Wefunder data shows. When it comes to equity crowding, investment levels tend to be small. Wefunder stats shows that 31 percent of investments made through its own platform are $100 and 76 percent of investments are under $500. “The whole point is to have lots of investors investing small amounts of money and together they add up,” Tommarello explains. One of Wefunder’s largest offerings was Hops and Grain Brewing, a microbrewery based in Austin, Texas. The company is one of three businesses to raise $1 million on Wefunder, and more than 70 percent of the money came from its own customers, according to Tommarello. “Equity crowdfunding allows customers an opportunity to back things they really care about and it’s great marketing for the company too,” he says. Another company, Snapwire Media Inc., a start-up in Santa Barbara, California, also believes in the power of the crowd to raise funds and gain marketing traction. Chad Newell, the company’s chief executive, says Snapwire wasn’t at a point where it felt ready to solicit venture capital money, but felt confident that its users, who were already passionate about its services, would become their biggest advocates. The company, which connects a new generation of photographers with businesses and brands that need on-demand creative imagery, was launched in 2014. It previously raised $2 million from accredited investors before raising $179,065 from the general public on the funding portal StartEngine. In December 2016, the company launched a campaign to raise additional funds on Wefunder. “Because we had a strong community and such a large one, we felt it was a good way to raise funds. Why not raise it from the people that care about the product the most?” Newell says. Because equity crowdfunding to the general public is so new, there’s still a lot of uncertainty about how the process works—both among companies looking to raise money and potential investors. “The biggest hurdle today is that equity crowdfunding is still underground versus rewards-based crowdfunding,” says Howard Marks, co-founder and chief executive of the online portal StartEngine. “It’s tiny. It’s small. It’s nothing. It’s not even a dot in the grand scheme of things,” he says. At this point, many people still don’t realize they can invest, or how to invest. He likens equity crowdfunding to index funds or junk bonds that were once completely unknown products. Over the years, however, they gained broad acceptance and are now widely used investment vehicles. “Every time there’s a new financial product that comes out, it takes time,” he says. In December, five new companies used StartEngine for equity crowdfunding. In January, he expects there to be more than 10. By the middle of next year, he predicts there could be 20 a month, and in two years from now he’s hopeful to be doing about 500 equity deals a month. At this point, Wefunder is the largest platform for Reg CF offerings in terms of dollars funded, successful offerings and number of investors. According to data through January 16, forty-six of the seventy-one companies that listed on its platform, or 65 percent, had successful offerings, meaning they reached their investment goals. Some funding portals have felt the pangs of being new to the industry and are trying to get their bearings to compete more effectively. Vincent Petrescu, chief executive of truCrowd Inc, a funding portal based in Chicago, says his company got registered in May 2016 and spent the rest of the year learning the lay of the land. Ultimately, truCrowd decided it would be better off specializing in a few verticals than going after all types of companies. Its plan now is to focus on the cannabis industry and the HR space. “I think that the potential is huge. There are lots of good companies out there that need capital,” he says. Wefunder data shows that investors who buy into one deal tend to do another deal shortly after, so it’s a compounding effect, Tommarello says. “It’s a snowball rolling down a hill. We’re developing a whole new class of mini angel investors,” he says. In terms of future growth, Petrescu of truCrowd says the biggest hurdle for the industry is exposure. Lots of people still don’t know about it, and they are still in the mindset that it’s illegal because it was for so long. He says he’s not too concerned, though, because the UK had a similar experience when equity crowdfunding to the general public first started there a few years back. As soon as the success stories start to become more publicized and people see the returns that are possible, he predicts interest will grow. “The potential is there. No doubt about it,” he says. For companies that are giving more thought to equity crowdfunding, it may help to seek out advice from others that have already traveled this road. Newell of Snapwire says he gets calls every week from company founders to ask about his experience with equity crowdfunding and to discuss in further detail whether it might be the right option for them. Newell tells companies that ask him about equity crowdfunding that it’s an effective way to raise funds, with certain caveats. For instance, you really have to understand the rules of what you’re allowed to do and what you can’t do because there are many more restrictions when marketing to the general public versus accredited investors. You also have to be good at marketing—or hire a company to do it on your behalf—and have a sizable group of users that you think will want to invest in your future. “It’s been a great source of capital for Snapwire because of our passionate community. I caution any company that doesn’t have a large community to be careful about spending time and resources and have realistic expectations,” he says. He also says companies should have realistic fundraising goals since it is unusual—at least at this juncture—to raise a million dollars from small investors through equity crowdfunding. It’s more realistic to expect to raise $200,000 to $500,000, he says. “I think everyone gets attracted to the top number. But that’s not necessarily what happens. Equity crowdfunding should be complementary to any funding strategy. By itself, it’s not some magic bullet,” he says.